And more quilling I created at the last quilling session with the gals. Very productive... Loving the butterflies stamped on Vellum. 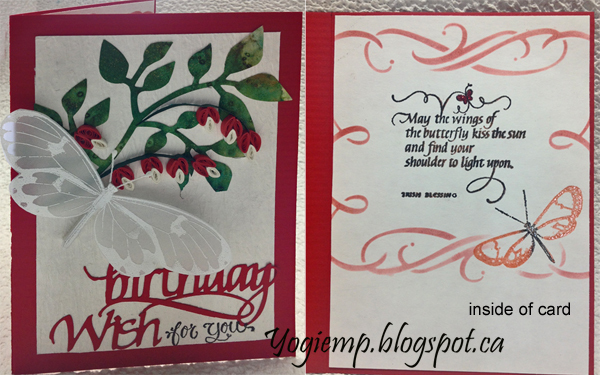 A stunning vellum Butterfly Yogi, looks all set to fly off your pretty card. Many thanks for joining us at Penny Black and More challenge. Pretty card! Thanks for joining us at Penny Black & More and good luck! Oh, my goodness, quilled fuschias! How pretty! 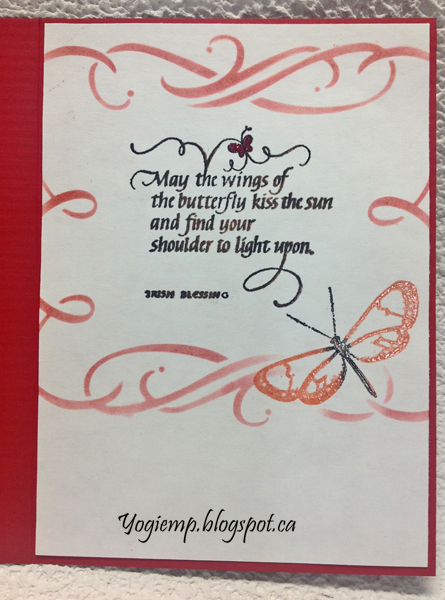 And what a gorgeous butterfly in white on vellum! 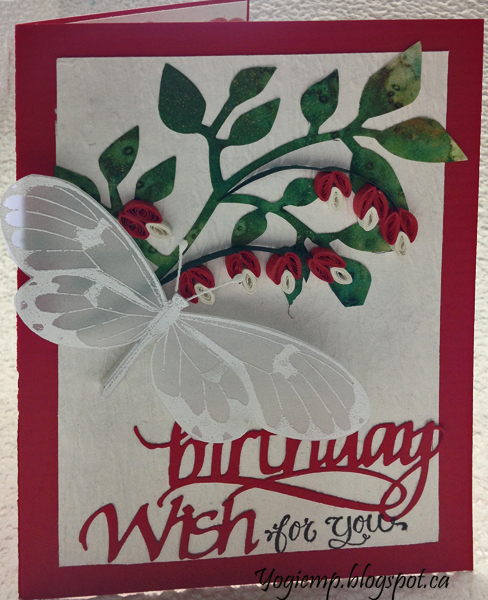 Lovely quilling and loved loved the vellum butterfly. Thanks for sharing with TTCRD...wish you good luck! !